PTC Windchill 10.2 provides the option to apply a filter to manage PDM objects shared to projects. Starting in PTC Windchill 10.2, users have the option to apply filter settings that will determine how PDM shared objects should be updated within a project. Previously, the default behavior was to update shared objects to their latest version. The sharing filter can be any filter created in a part structure and shared with other users. 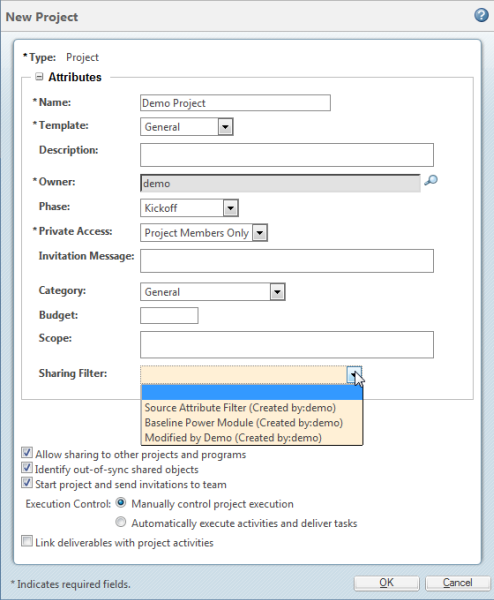 Once shared, the filter appears in the Sharing Filter menu on a Create Project or Edit Project window. This is an optional selection; leave this field blank to continue using the legacy functionality. 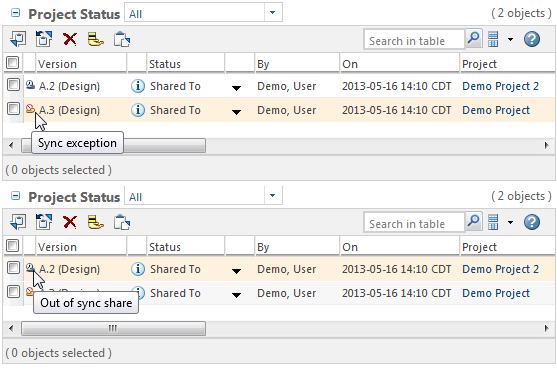 A “sync exception” status indicator alerts users when a shared object is excluded from the filter criteria. An “out of sync” indicator alerts users when the source object has changed according to the filter criteria. Updating an out of sync object synchronizes the shared version with the source object to match filter criteria. For more information, see the About Sharing Filters topic in the PTC Windchill Help Center. Tip: Enter the topic name in the PTC Windchill Help Center search field to easily navigate to the topic. Select a shared filter. Leave blank to continue using legacy functionality. Sync exception shares are not included in the filter. Out of sync shares are outdated according to the filter criteria.